Performance Motors has been in business since 1965, becoming a Mazda dealer in 1975 and going strong ever since. The heart of our business is our customers. Our goal is to create a relationship with everyone who buys a Mazda from us. We don’t just want to sell you a car. 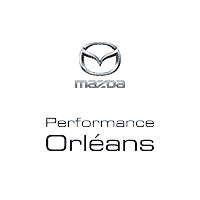 Performance Mazda Orléans wants to be your dealer of choice for servicing your Mazda as well as providing for your parts and accessories needs. To become a Mazda-certified Dealer of Distinction, we had to pass strict guidelines with regards to our facility, but more importantly, we had to exceed Mazda requirements for excellent customer satisfaction. We believe our customers deserve high-performance service – that’s why here at Performance Mazda, we lead with service first. We are Ottawa’s oldest Mazda dealer, and Ottawa’s only family-owned and operated single-point dealership. Nobody knows Mazda better then Performance Mazda, because Mazda is all we do. We are the most experienced and awarded service department in Ontario, with the highest fix-it-right-the-first-time rate in all of Canada. We also employ Canada’s largest complement of Mazda Master Technicians to ensure your Mazda is only maintained by the best of the best. As well, we offer a complementary shuttle service for pick up and drop-off at your convenience. We have a wide assortment of loaner vehicles, to ensure you can always get where you need to go and are never inconvenienced while doing business with us. At Performance Mazda, we are here to serve.